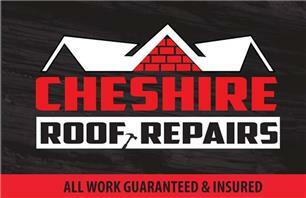 Cheshire Roof Repairs - Asbestos Services, Roofer based in Little Leigh, Cheshire. Cheshire Roof Repairs is an established Cheshire based company focused on our customers and their individual needs, from a simple slipped tile to a full re-roof we are here to provide you with a free no obligation quote for both domestic & commercial properties. We cover all areas of flat roofing systems and have samples to guide you through your options. We are able to access all areas & any heights. All our work comes with a guarantee. We have a combination of 26 years roofing experience covering both domestic & commercial roofing. We don't believe in adding extras to any job price we will only advise you on any other works required & provide you with a quote for you to contact us when you are ready to get the work done. We stock a large range of roofing tiles & materials at our yard so we are always available to carry out 24 hour emergency repairs we will never leave a property with a leaking roof! !